The Cytopathology Fellowship training program of the LAC+USC Medical Center has one vacant position available for FY 2019-20. This Cytopathology Fellowship training program has the status of Continued Accreditation by the ACGME. The Cytopathology Fellowship training program provides primary training experience in cytopathology at LAC+USC Medical Center where there are annually 21,000 cytology accessions, including 1,300 fine needle aspirations (FNA’s), 2,900 non-gynecologic exfoliative specimens and 16,800 ThinPrep Pap tests per year. The affiliated hospitals of Norris Cancer Hospital and Keck Hospital of USC provide an additional 6,900 cytopathology accessions, including 850 FNA’s, 2,850 non-gynecologic exfoliative specimens, and 3,200 ThinPrep Pap tests. The Department of Pathology at the LAC+USC Medical Center operates a daily morning ultrasound-guided fine needle aspiration clinic. The LAC+USC Medical Center has a high risk population with a cervical cancer rate that provides ample experience in gynecologic cytopathology. The Norris Cancer and Keck Hospitals provide extensive exposure to cancer cytopathology. Requirements: The candidate must have completed 3 years of Anatomic Pathology training or 4 years of Anatomic and Clinical Pathology training by the beginning of the fellowship training. The candidate must have a California Medical License by July 1st of their training year. A letter from the resident’s Program Director must document all rotations the resident has taken. Additional letters from the resident’s Cytopathology faculty are recommended. Stipends: Support will be commensurate with the applicant’s level of training. Description: The UCLA affiliated Olive View / UCLA medical center offers a one-year fellowship in general surgical pathology. The fellow's primary responsibilities include signing out of surgical cases, frozen section diagnosis and occasional autopsies. The program offers excellent experience in fine needle aspiration. With UCLA residents and an attending staff of five, there are many opportunities for interacting with staff and direct teaching. In addition, the county hospital provides exposure to many unusual and rare cases. There is also ample opportunity for attending and organizing specialty conferences. Research and study time is available, including elective time in selected subspecialty areas. The rotations are predominantly at the Olive View / UCLA Hospital with the option to do electives at other hospitals including UCLA main campus. Requirements: This position is open to applicants who have completed their training in AP and are Board eligible or certified. A California license is a requirement. Stipends: Are commensurate with the resident's level of training. Robarts Clinical Trials (RCT), established in 1986, is a specialty contract research organization focused in inflammatory bowel disease (IBD) and digestive disease research. Specific areas of research interest include: organizational aspects of clinical trials, clinical trial design, validation of central reading algorithms, development and validation of IBD scoring systems, evaluation and critical appraisal of outcome measures, index development, development and validation of prediction models and precision medicine projects. RCT is now offering a fellowship opportunity in histopathology to further support histopathological index development and validation, quantitative digital pathology including development and validation of artificial intelligence (AI)-tools, immunohistochemistry, and immunofluorescence. The fellow will have a dual affiliation with Robarts Clinical Trials and the Mayo Clinic in Arizona under the supervision of Dr. Rish K. Pai. Completion of a successful fellowship will lead to an advanced understanding of the application of histopathology in drug development as it relates to the field of gastroenterology. Specific topics for a histopathology fellowship can be tailored to the candidate's interest, availability of material and industry collaborations. Possible topics include assessing the operating properties of histological scoring systems in Crohn's Disease (CD) and Ulcerative Colitis (UC), evaluating the impact of number and location of biopsies on histological endpoints, or developing a novel histopathology index for CD. The fellowship could also focus on the role of immunohistochemistry in clinical drug development, alongside histopathology, endoscopy, patient reported outcomes and clinical pharmacology to provide better insights in the mechanism of action of small and large molecules. Robarts' recent expansion into the fields of eosinophilic esophagitis and non-alcoholic steatohepatitis provides additional areas in which to focus. Description: The Department of Pathology at the University of California, Irvine offers a one-year accredited Fellowship position in Hematopathology. The Program is designed to provide comprehensive training in diagnostic hematopathology and laboratory hematology including morphologic evaluation of peripheral blood smears, body fluids, bone marrow, lymph nodes and other tissue, performance of bone marrow procedure, interpretation of laboratory hematology, coagulation, flow cytometry, immunohistochemistry, chromosomal and molecular cytogenetics and molecular diagnostics. The fellow is trained and serves as the primary consultant for the hematology laboratory mainly in UCI Medical Center with approximately 1,400,000 hematology and coagulation tests per year and 1,300 hematopathology cases including bone marrow, flow cytometry, lymph nodes, other tissue and referral/consultation cases. The fellow is also provided with the learning opportunities at Children's Hospital of Orange County for pediatric hematopathology and NeoGenomics laboratories for cytogenetics and molecular diagnostics. The fellow participates with faculty mentors to gain experience in laboratory management, teaching medical students, residents and fellows, and developing and conducting scholarly and research activities in the broad field of hematopathology. Requirements: Applicants must be Board certified or eligible in anatomic and/or clinical pathology. A California medical license is required at the beginning of their fellowship. Stipends: The salary is comparable to that of residents of this institution with equivalent years of postdoctoral training. 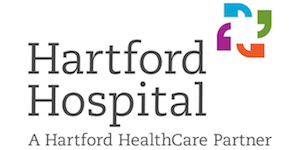 The Department of Pathology at Hartford Hospital sponsors three advanced-level one- year fellowships in surgical pathology. The Division of Anatomic Pathology represents an extensive training resource based on over 50,000 surgical accessions. The program features, in addition to the general surgical pathology rotations, opportunities for extensive experience in all subspecialty areas. The fellow program is structured to include 9-months of service responsibility and 3 months of elective rotation. Surgical pathology rotation: The surgical pathology fellow (under direct supervision of attending pathologists) is part of a team approach to signing out surgical pathology cases. Along with residents and pathology attendings the fellows perform frozen sections and gross specimens. The fellows are expected to assume the role of team leader by managing overflow. They independently preview slides before sign out with the attending staff. Experience in immunohistochemistry and molecular pathology and other subspecialities are available through elective rotations. Opportunities for teaching at the student and resident levels are available as are opportunities for presentation of diagnostic material at clinical pathological conferences. Investigative work and clinical-pathologic research activities are encouraged and resources are readily available. Requirements: Completion of an accredited training program in AP or AP/CP and must have passed USMLE Step 3. Mayo Clinic in Florida has recently been approved for a second fellow in our 12-month, ACGME accredited, surgical pathology fellowship program. Therefore, the program has an unexpected opening for the 2019-2020 academic year. The established program offers extensive and comprehensive training to prepare fellows for successful transition to an attending pathologist. Last year over 36,700 cases were accessioned, including 2100 frozen sections and 3000 outside consults cases. We have an intimate department which facilitates individualized training. Program faculty are experienced in GI, lung, breast, urology, renal, liver and transplant pathology. Fellows sign out cases, participate in departmental and interdepartmental conferences, and have opportunities to teach residents and medical students. Mayo Clinic Florida is a 300-bed hospital located in beautiful northern Florida where the weather is pleasant all year round. Requirements: Applicants must be graduates of an accredited pathology residency program (AP/CP or AP) and be board eligible or certified. The University of Florida Department of Pathology, Immunology and Laboratory Medicine offers a comprehensive one-year fellowship in surgical pathology that provides advanced and intensive training in diagnostic surgical pathology. The non-ACGME-accredited Surgical Pathology Fellowship at the University of Florida provides fellows with the opportunity for advanced training and in-depth experience in different facets of surgical pathology with particular interest in Gastrointestinal and Liver, Genitourinary, Breast and Gynecologic pathology. It also prepares them for a career in either academics or private practice. A large volume of surgical and consultation material provides an opportunity for the development of proficiency in the diagnosis of neoplastic and benign diseases, as well as transplant pathology. In addition to all subspecialties of surgical pathology, elective rotations in hematopathology/flow cytometry, dermatopathology, renal pathology/electron microscopy and cytopathology are available. Fellows will have the opportunity for graduated sign-out responsibilities, including intraoperative consultations. Successful fellowship candidates must be certification-eligible or certified in anatomic, or anatomic and clinical pathology, by the American Board of Pathology. Applicants are required to have passed all three steps of the United States Medical Licensing Examination. Successful fellowship candidates must be certification-eligible or certified in anatomic, or anatomic and clinical pathology, by the American Board of Pathology. Applicants are required to have passed all three, steps of the United States Medical Licensing Examination. Interviews for the fellowship will be completed by March 1, 2019. Electronic submission of fellowship application materials is preferred. The Department of Pathology and Laboratory Medicine at The University of Florida College of Medicine-Jacksonville is accepting applications for our ACGME-approved transfusion medicine fellowship position. The program is designed to provide a quality experience in the broad discipline of blood banking and transfusion medicine. Our curriculum provides the fellow with individual mentorship and guidance by faculty with expertise in transfusion service, apheresis, blood banking, infectious disease testing, stem cell therapy, immunology and transplant serology. Shands Jacksonville Medical Center (SJMC) is a 695 bed level 1 trauma center with a level 2 neonatal intensive care unit and an active cardiac surgery program. Fellowship experience will include rotations in The Blood Alliance Community Blood Center and at Mayo Clinic Jacksonville. The candidate must be board eligible/certified in AP/CP or CP and must be eligible for an unrestricted medical training license in the State of Florida. The Cytopathology Fellowship Program at the University of Florida - College of Medicine - Jacksonville offers a one-year ACGME accredited fellowship program in diagnostic cytopathology. The program focuses exclusively on gynecological cytology, non-gynecological cytology, and fine needle aspiration biopsy cytology. Weekly didactic and microscopic conferences, monthly lectures, as well as a bi-monthly journal club supplement this training. During this period, the fellow is engaged in the examination of the cytopathologic material submitted to the Service under the supervision of the attending staff. The program also includes participation in the Intraoperative Cytology Consultation Service. Fellows are encouraged to participate in research projects with members of the department and/or in cooperation with clinicians. The fellowship is available to individuals who have completed training in pathology in an ACGME-accredited residency program. Board certification/ eligibility in either AP or AP/CP is required by the beginning of the fellowship in Cytopathology. Step 3 is a requirement as well as eligibility for medical license in the state of Florida. Early application is encouraged. • Three letters of recommendation from an institution in which the applicant has trained. These letters should be addressed to Shahla Masood, MD. • Copy of a medical school diploma and translation, if necessary. • Letters certifying training from each institution in which the applicant has trained in the United States or Canada. This must include dates of training and be signed by the institution's program director or chairman or training completion certificates. • International medical school graduates must submit a copy of their Educational Commission for Foreign Medical Graduates (ECFMG) certificate that is marked "valid indefinitely"
• Copy of Steps 1, 2, and 3 passing score. The stipend is commensurate with the year of the applicant's postgraduate training. To apply, please send application (Standard CAP application form is acceptable) to Program Assistant along with copies of required documentation. Description: This one-year fellowship program provides comprehensive training in diagnostic cytology. Our laboratories, located at the University of Miami Hospital/Jackson Memorial Medical Center, provide service to over 65,000 inpatients and more than 300,000 out-patients, annually. We evaluate approximately 24,000 cases per year, of which 9,000 are non-gynecologic, including about 3,000 fine needle aspirations. The fellows cover the Breast Health Center, Thyroid, Head & Neck and Surgical Oncology Clinics with a total of 12,000 visits a year and participate by performing ROSE of FNA biopsies. In order to have hands on experience in performance of FNA, the Fellows rotate in the JHS and Sylvester Comprehensive Cancer Center FNA Clinics. The fellows also take an active role in teaching medical students and pathology residents, participate in departmental conferences and local and national meetings. Requirements: Candidates must be Board eligible or certified in Anatomic Pathology or AP/CP and licensed in or eligible for Florida medical licensure. Stipends: Commensurate with the level of training and experience. Description: The Surgical Pathology Fellowship program offered by the University of Miami Miller School of Medicine's Department of Pathology is a one-year training program for the 2019-2020 academic year that provides focused, in-depth experience and proficiency in the diagnosis of neoplastic and non-neoplastic diseases in the various subspecialties of surgical pathology. The UMMSOM Pathology department serves patients treated by the network of hospitals and clinics belonging to the UHealth System and Jackson Memorial Health System. As such, it benefits from a high volume and diverse variety of surgical pathology cases, ranging from the routine day-to-day biopsies, to complex resection cases requiring a multidisciplinary approach for accurate diagnoses. The surgical pathology fellow will have the opportunity to rotate in a variety of subspecialty services including breast, gynecologic, head and neck, genitourinary, gastrointestinal, thoracic, neuropathology, bone and soft tissue and dermatopathology. He/she will participate in all of the clinical activities of the subspecialty rotations, including tumor boards, intraoperative consultations, and daily sign-out activities. He/she will be expected to work closely with residents, other fellows, and laboratory personnel. All fellows are required to conduct an investigative study under the supervision of their attending pathologists. The department provides fellows with the appropriate resources and support to fulfill this requirement. Participation in intra and interdepartmental conferences is likewise expected. Requirements:Applicants must be Board eligible or certified in Anatomic Pathology/Clinical Pathology or Anatomic Pathology. Staff: Dr. Carmen Gomez-Fernandez, Dr. Andre Pinto, Dr. Merce Jorda, Dr. Monica Garcia-Buitrago, Dr. Andrew Rosenberg, Dr. Hume Gultekin, Dr. Clara Milikowski, Dr. Mehrdad Nadji. Applications: Candidates should submit by email the JMH/UM fellowship application, curriculum vitae, and three letters of recommendation to the Fellowship Program Coordinator, Aeelyn Urdaneta at a.urdaneta1@med.miami.edu. An opening for our ACGME accredited Cytopathology fellowship is available for the July 2019 to June 2020 academic year. The potential candidates for this position should have completed their AP or AP/CP pathology residency training in an ACGME accredited program before starting their fellowship training. They should be eligible to hold a medical license in Illinois and have passed USMLE step III before being accepted for these positions. This one-year ACGME accredited, cytopathology fellowship is designed to provide comprehensive training in diagnostic cytology including both gynecologic and nongynecologic cytology with emphasis on performance and interpretation of fine needle aspiration biopsies (FNA) with surgical pathology and clinical correlation. A variety of procedures are performed in-house including superficial FNA performed by pathology staff and others performed under guidance of CT, US, EUS, and EBUS procedures. The trainees also learn how to perform ultrasound-guided FNAs. The cytology lab evaluates approximately 18,000 Pap Tests and 3,500 non-gynecologic specimens and 2,500 FNAs per year. The fellow will be expected to perform superficial FNAs, rapid on-site assessment of FNA's, and to participate in daily cytology signing out, conferences and teaching sessions. They will also be required to complete at least one research project. The fellow will also actively participate in the intra and interdepartmental conferences, including the weekly quality meeting in cytology, the weekly cytology educational sessions, and monthly cytology journal club. Candidates must be Board certified or eligible for certification in anatomic pathology or AP/CP and must be eligible for a license to practice in Illinois. Commensurate with the level of training. Description: The University of Chicago Medicine offers an ACGME-accredited one year Fellowship in Transfusion Medicine / Blood Banking. The Fellow has exposure to an active Transfusion Medicine Service, a hospital Donor Center, and Therapeutic Apheresis. The Blood Bank supports a spectrum of adult and pediatric solid organ and bone marrow transplantation services. The Fellow gains experience in donor recruitment, blood collection, therapeutic phlebotomy, pediatric stem cell collection, therapeutic apheresis, routine and complex serologic workups, component therapy, administration, histocompatibility testing and coagulation. There are ample opportunities for teaching and research. The Transfusion Service is housed in a large state-of-the-art facility. Requirements: The position is open to physicians with current medical licensure trained in CP, AP/CP or other appropriate postgraduate medical training. Applicants must have an Illinois medical license prior to starting the Fellowship. Stipend: Commensurate with the year of postgraduate training. Description: This fellowship is a one-year, ACGME-accredited program that offers advanced training in diagnostic cytopathology, with equal emphasis on gynecologic, non-gynecologic and fine-needle aspiration cytology. The fellow will be expected to work closely with residents and students rotating through the cytopathology service. The fellow will have increasing levels of responsibility commensurate with level of performance. Strong emphasis will be placed on the integration of cytopathologic findings with corresponding histologic findings and ancillary study results. Diagnostic, research and teaching skills are emphasized in our collegial academic environment. ThinPrep technology, including the ThinPrep Imaging System, is utilized in the laboratory. The University of Illinois at Chicago (UIC) Cytopathology Laboratory also performs HPV testing in-house, ensuring exposure to molecular techniques and clinical applications with which the cytopathologist of the future will need to be at least conversant. The fellow will also become familiar with the quality control and quality assurance activities of the laboratory as well as with technical and professional billing considerations. The fellow will perform superficial fine-needle aspiration biopsies in outpatient and inpatient settings and participate in the assessment of adequacy of image-guided fine-needle aspiration specimens. Over the course of the fellowship, the fellow will have the opportunity to develop the necessary medical knowledge and interactive skills to communicate effectively with medical professionals and patients. Upon completion of this fellowship program, the fellow should be ready to practice independently in private, commercial or academic settings and be able to meet all competency requirements for the daily practice of cytopathology. Requirements: Applicants should have passed USMLE Step III and be board-eligible or board-certified in anatomic pathology or combined anatomic and clinical pathology. The applicant must be eligible for a permanent Illinois medical license. Stipend: Commensurate with level of training. The UIC Graduate Medical Education Office (http://pathology.uic.edu/cytopathology-fellowship/) posts specific information regarding stipends and benefits. Application: E-mail (preferred) or send curriculum vitae, personal statement and completed College of American Pathologists (CAP) Standardized Pathology Fellowship Application to Dr. Odile David, Cytopathology Fellowship Program Director. The ACGME accredited hematopathology fellowship at the university of Illinois Medical Center at Chicago is a one-year program, designed to provide eligibility for the American Board of Pathology specialized examination in hematology. The Medical Center is a 470-bed, tertiary care, university hospital, which supports an active bone marrow/peripheral blood stem cell transplantation service. The fellowship program includes both diagnostic and investigative hematopathology. The fellows will be exposed to the full range of diagnostic hematopathology including bone marrow biopsy and aspirate morphology, lymph node biopsy interpretation, body fluid and peripheral blood smear morphology, flow cytometric immunophenotyping using a 10-color flow cytometry, immunohistochemistry, molecular pathology, cytogenetics, coagulation, hemoglobinopathies, and hematology instrumentation. There is a formal hematopathology didactic lecture series and structured electives in molecular diagnostics, cytogenetics, and coagulation. Presentation of cases at hospital-wide clinicopathologic conferences, supervision of residents, as well as teaching medical students and residents are expected. Participation in research projects and a range of scholarly activities are required. The candidate must be Board eligible or certified in either clinical pathology, anatomic pathology or clinical and anatomic pathology. The stipend is commensurate with the PGY year of training. Fellowships in surgical pathology are offered by the University of Illinois College of Medicine. This is a re-organization of the fellowship program for UIC. The fellowship in surgical pathology at University of Illinois Medical Center is for one or two years. This fellowship is designed for post graduates with excellent skills in surgical pathology who wish to develop expertise both in general surgical pathology as well as a subspecialty area such as breast, renal, liver, ophthalmologic, dermatologic and gastrointestinal disease and who also have an interest in medical education. Fellows will work with faculty to implement a new program in resident education, work with teaching pathologist assistants in optimizing work flow, frozen section, biopsy adequacy assessment, tumor banking and teaching residents gross diagnosis and dissection. The fellows will also be responsible for reviewing and independently diagnosing all cases received by the department of Pathology's outreach program. Fellows may also elect to review and signout with subspecialty pathologists, liver, dermatology, renal, and/or gastrointestinal cases. Two courses, one in medical education and one in clinical/ translational research are given over the course of one year. UICOM is one of two medical schools in the US with a department of medical education and the department of pathology shares faculty and courses with this department. A stellar candidate may wish to combine renal pathology training or course work in medical education with a two year fellowship to prepare the candidate for subspecialty renal pathology or directorship of a pathology residency program and / or overseeing medical student education. The University of Illinois Medical Center is a 491-bed, tertiary care, university hospital, which receives 18,000 surgical pathology cases yearly. The center has one of the largest kidney and liver transplant services in the US, as well as a large gastrointestinal and liver service. The surgical pathology service includes both eye and skin pathology for the medical center. Resources for diagnostic and research activities include immunohistochemistry, flow cytometry, laser capture microdissection, tissue mircroarrays and molecular pathology. Each fellow receives two (2) months of elective time. Applicants should have completed four years of training in a combined AP/CP residency or three years in AP, USMLE Step 3 and must be eligible for a permanent Illinois license (and must have a permanent Illinois license before beginning fellowship training). Commensurate with level of training. The Web site of the Graduate Medical Education Office (http://pathology.uic.edu/surgical-pathology-fellowship/) contains specific information regarding stipends and benefits. The Division of Blood Bank/Transfusion Medicine in the Department of Pathology and Laboratory Medicine at Indiana University School of Medicine is currently accepting applications for the Blood Bank fellow position 2019-20 and 2020-21. Description:The Blood Bank/Transfusion Medicine fellowship program is ACGME accredited. The program offers comprehensive transfusion medicine physician training at the IU School of Medicine teaching hospitals (a 1700 bed tertiary care academic medical center complex) as well as a large blood center (Indiana Blood Center). The fellowship offers exposure to adult and pediatric transfusion services, adult and pediatric apheresis, and donor center operations. Requirements: Fellows are accepted for a training period of one year and must be Board eligible or certified in clinical pathology, hematology, or internal medicine. Staff: Nguyet Le MD, Fellowship Program Director, Dan Smith MD, Director IU Health Transfusion Medicine, Esther Soundar MD, Dan Waxman MD, Director Indiana Blood Center. The Division of Genitourinary Pathology in the Department of Pathology and Laboratory Medicine at Indiana University School of Medicine is currently accepting applications for the GU fellow position for 2021-22. Description: The Genitourinary Pathology Fellowship Training Program at the Indiana University School of Medicine provides comprehensive training in all aspects of genitourinary pathology. Upon completing the program, the fellow will be prepared to assume a role as a subspecialty consultant in genitourinary pathology, in either an academic or private practice setting. The program is approved as a non-ACGME accredited fellowship by the Indiana University Graduate Medical Education Committee. The Division of Genitourinary Pathology is currently responsible for handling all adult genitourinary clinical material from the IU Health system in Indianapolis (University Hospital, Methodist Hospital, IU Health North, and IU Health West) and personal consultations received by the faculty. The expanded GU service provides the Fellow with opportunities to develop the ability to handle a large and diverse case load in an efficient and accurate manner. The program allows for two months of research away from the clinical service. Requirements: Applicants must have completed two years of accredited anatomic pathology training, and be eligible for a medical license in the State of Indiana. Stipends: Stipends are commensurate with the years of postgraduate training. Staff: Liang Cheng MD, Program Director; John Eble MD; David Grignon MD; Muhammad Idrees MD; Helen Michael MD; Thomas Ulbright MD. Applications: Applications (to include CAP standard fellowship application, CV, personal statement and 3 letters of recommendation) should be submitted to Liang Cheng, MD, Program Director, Indiana University School of Medicine, Department of Pathology and Laboratory Medicine, IU Health Pathology Laboratory, 350 W. 11th Street, Room 4010, Indianapolis, IN 46202. 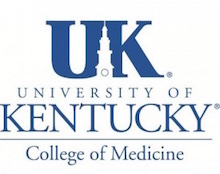 The University of Kentucky Medical Center offers a one-year ACGME-accredited program in Cytopathology at the UK Chandler Medical Center, a 945 bed tertiary care center. Extensive training and experience in gynecologic, non-gynecologic, and fine needle aspiration biopsy cytology is provided, with over 15,000 specimens annually. Graduated responsibility is supported via the use of a telecytology system and other methods. Experience in performing superficial FNA biopsies with ultrasound guidance is provided. Correlation with surgical pathology is inherent in our practice, as our laboratory interprets core biopsies with their associated touch preparations. Time is also devoted to laboratory management and quality assurance skills, teaching, and a research project in cytopathology. Training in immunocytochemistry, molecular cytology and other ancillary techniques is included. Two positions are offered annually. Candidates must be Board-eligible in AP or AP/CP at the start of the fellowship, and must be eligible for a medical license in the state of Kentucky. The department (http://pathology.med.uky.edu/) is an integrated department of pathology with successful programs in anatomic and clinical pathology, a vibrant educational program for medical students, residents and fellows as well as a nationally recognized research program in neuropathology and research affiliations with the Markey Cancer Center. There is a strong institutional commitment to maintain and enhance research and clinical excellence within the Department of Pathology and Laboratory Medicine. The university is located in Lexington, Kentucky, a family-friendly dynamic medium-sized city with excellent schools, housing, cultural opportunities and outdoor activities (http://www.visitlex.com). An opening for one year position in Blood Bank/Transfusion Medicine fellowship is available for the academic years beginning July 2019 and July 2020. The Marie M. Keeling Blood Banking/Transfusion Medicine Fellowship at the University of Louisville Health Sciences Center is an ACGME-accredited fellowship program integrating academic and community medical centers with one blood center. The affiliated teaching hospitals support cardiopulmonary surgery, solid organ and bone marrow transplantation, trauma service, neonatal and pediatric programs, and an HLA laboratory. Approximately 60,000 blood components are transfused in the affiliated teaching hospitals each year. The fellow spends the initial months of training at the American Red Cross Blood Services, River Valley Region, in each of the collection and component manufacturing areas including compliance/regulatory. The blood center collects over 130,000 whole blood and 9,000 apheresis donations, and maintains an accredited immunohematology reference laboratory. Opportunity is provided to observe donor infectious disease testing in the ARCBS National Testing Lab, St. Louis. The remaining training time is divided in the specialized areas of peripheral stem cell and bone marrow transplantation (adult/pediatric), HLA laboratory, and transfusion services of the affiliated hospitals (Norton, Kosair-Children's, Jewish, and University). Research opportunities are available in transfusion medicine and related disciplines. The training program provides the necessary experience to develop the expertise in transfusion medicine for medical director duties in a community blood center or hospital transfusion service. Louisville is an exciting place to live with numerous amenities for a city its size. It offers many cultural and sports activities and offers an excellent location with mild weather. It is home to the Kentucky Derby and the Cardinals College basketball and football teams. Applicants must be certified, or eligible for certification by the American Board of Pathology in clinical pathology or combined clinical/anatomical pathology or other appropriate major clinical specialty Board. Candidate must have completed USMLE Step 3 and be eligible to hold a medical license in Kentucky. Commensurate with level of post-graduate training. An opening for one year position in an ACGME accredited Cytopathology fellowship is available for the July 2019-June 2020 and July 2020-June 2021 academic years. The potential candidate for this position should have completed their AP or AP/CP pathology residency training in an ACGME accredited program before starting their fellowship training. They should be eligible to hold a medical license in Kentucky. Passing step III of the USLME is also required before being accepted for the position. Currently the work volume at the University of Louisville Hospital includes 5000 Pap tests and 2000 non-gynecologic specimens including 750 FNA procedures. A variety of procedures are performed in house including superficial FNA performed by Pathology Staff and others performed under guidance of CT, US, EUS, and EBUS procedures. The program offers opportunities for rotations in Flow Cytometry, Molecular Pathology and Immunohistochemistry as well as specialized rotations in subspecialties of Surgical Pathology. Fellows actively participate in the intra and interdepartmental conferences and are encouraged to be involved in research projects. An opening for one year position in Surgical Pathology fellowship is available for the academic years beginning July 2019 and July 2020. This is a one year fellowship program with 1 position per year which provides the trainee with advanced training and experience in general surgical pathology, and opportunities for extensive experience in all subspecialty areas at a busy academic medical center. Anatomic pathology staff includes experts in the fields of pulmonary, urologic, breast, gynecologic, pancreaticobiliary tract, and head and neck pathology. The fellowship is designed to provide comprehensive training in diagnostic surgical pathology including standard diagnostic practices, immunohistochemistry, and specialized techniques. Elective time during the fellowship can be individually tailored to meet the needs of the fellow and spent in clinical or basic research, or used for more rigorous training in various areas of surgical pathology. The candidate is expected to participate in inter-departmental clinical conferences, frozen section, and teaching anatomic pathology residents. In addition, ample opportunities exist for scholarly collaborations in all areas of surgical pathology. Applicants must have completed their AP or AP/CP pathology residency training in an ACGME accredited program before starting their fellowship training. They should be eligible to hold a medical license in Kentucky. Passing step III of the USLME is also required before being accepted for the position. The Department of Pathology offers a one-year ACGME-accredited fellowship in cytopathology with two positions under the supervision of Elba Turbat-Herrera, MD. The fellow is expected to participate in the cytology service and teaching clinical and/or basic research activities. Completion of a research project is expected by the end of the fellowship year with a presentation to faculty, staff, and peers at the Annual Albert G. Smith Resident Research Forum. The fellowship program is designed to provide advanced training in the interpretation of gynecologic and non-gynecologic specimens and fine needle aspiration biopsies. The fellow will be exposed to EBUS and EUS specimens as well. The training includes the use and interpretation of immunohistochemistry, ultrastructural and molecular pathology. One month of your choice of an elective is available which may be dedicated entirely to research. Teaching activities include departmental and interdepartmental conferences. Requirements: Candidates should be board eligible or certified in Anatomic and Clinical Pathology. Stipends: Stipend is commensurate with level of postgraduate training. A $1,500 allowance is provided for textbooks and professional fees. In addition, all expenses are paid to present research accepted for presentation at national meetings. Applications: Letters of recommendation should be directed to: Elba Turbat-Herrera, MD, Cytopathology Fellowship Program Director. Please contact Elba Turbat-Herrera, MD, Cytopathology Program Director or Lisa LaChance BA, Program Coordinator with any questions. Due to unforeseen circumstances, the Department of Pathology of the Brigham and Women's Hospital, a principal teaching affiliate of the Harvard Medical School, is offering a one-year fellowship in Surgical Pathology commencing July 1st 2019. Brigham and Women's Hospital, in conjunction with the Dana-Farber Cancer Institute, has very large and renowned clinical services in a broad range of subspecialties (especially those with an oncologic focus), which are engaged in major clinical trials and attract a high volume of complex consultations. There are also broad-based research programs which provide ample opportunities to participate in clinical/translational research. This opportunity will offer excellent training in surgical/oncologic pathology with a high specimen volume and dedicated subspecialty faculty. The Department of Pathology is staffed by more than 100 faculty and more than 55 residents and clinical fellows in anatomic and clinical pathology. The Anatomic Pathology Divisions handle over 80,000 surgical specimens and over 45,000 cytology specimens annually. Applicants should have completed core-training in an AP or AP-CP residency program and should be committed to excellent clinical care in an academic medical center environment. The Brigham and Women's Hospital is an equal employment opportunity/affirmative action employer. A full-time, 1-year or 2-year fellowship is available starting July 1, 2019, under the preceptorship of Frederick A. Jakobiec, MD, DSc, and Thaddeus P. Dryja, MD. This program, which is approved by the AUPO Fellowship Compliance Committee, provides intensive training in the diagnosis and understanding of ophthalmic diseases and is designed to prepare trainees for careers in academic diagnostic pathology. Applicants must have completed a residency in either ophthalmology or anatomic pathology and be eligible for a limited Massachusetts medical license. Because the functioning of the pathology department is completely computerized, candidates must be fully computer literate. Training will focus on diagnostic pathology of the globe and adnexal tissues derived from the Massachusetts Eye and Ear and the Harvard Medical School Department of Ophthalmology affiliates. Emphasis is placed on clinicopathologic correlation studies during the candidate's fellowship. The facilities and consultants of the Department of Pathology at Massachusetts General Hospital are also available to trainees. Trainees will have the opportunity to participate in a wide range of conferences and other educational events in the Pathology and Ophthalmology Departments, such as Grand Rounds, subspecialty conferences and the Annual Meeting and Alumni Reunion. Full-time salary and standard benefits will be provided. The objectives of this one-year research fellowship are to train a pathology fellow on the use of IVM/EVM and the interpretation of IVM/EVM images, the generation of reference materials for IVM/EVM, and the development of training and signout programs for IVM and EVM. The fellowship will be performed in the laboratory of and under the supervision of Dr. Guillermo Tearney, MD PhD. After this IVM research fellowship is completed, trainees will have a broad knowledge of IVM technology and IVM image interpretation as well as the skills required to continue research in IVM and participate in growing the clinical IVM field for pathologists world wide. Please see more details on our website. Completion of residency training in anatomic, clinical or combined anatomic/clinical pathology, with primary certification or eligibility by the American Board of Pathology. For international candidates, a valid ECFMG certificate and visa are required. If applying before they are Board eligible, candidates should present compelling reasons that the fellowship should be done prior to finishing residency and have concrete plans for finishing their pathology residency training. Fellows are paid according to their PGY level. Travel and book allowances are provided. Health insurance, long-term disability and life insurance are provided at a reasonable cost. There is an unexpected opening in July 2019 for an ACGME-accredited Cytopathology Fellowship in the Department of Pathology at University of Massachusetts. In addition to providing diagnostic excellence, this Fellowship is unique in offering exposure to three areas of importance for Cytopathology: Technology development relating to microbiopsy procurement, ROSE, and cytologic processing; Basic science to understand the cell biology of diagnostic structural changes; and Cytopathologist-performed ultrasound-guided FNA. Successful applicants will need a Massachusetts medical license and have successfully passed USMLE STEP 3. The program is located at the University campus in Worcester, Massachusetts. Worcester is in central New England, a region with abundant natural and historic beauty, and excellent schools. The program is about one hour from Boston, Providence, Hartford and Springfield. The Division of Pediatric Pathology at the Detroit Medical Center/Wayne State University School of Medicine offers a one-year ACGME-accredited fellowship in pediatric pathology, beginning July 1, 2019. The program is based at Children's Hospital of Michigan and provides training in pediatric anatomic and clinical pathology, embryo-fetal and placental pathology, cytogenetic, and molecular diagnostic pathology. In addition to regular training in a wide spectrum of pediatric pathology cases, the program offers training in pediatric autopsy, and supervision of residents. Fellows are given the opportunity to present at and participate in several multidisciplinary tumor boards, M&M conferences, and other clinical conferences in conjunction with a broad range of clinical programs. Participation in laboratory management, and university teaching is also expected. Research projects are strongly encouraged and supported. Our annual volume is approximately 5000 pediatric surgical pathology cases, drawn mainly from GI, neurosurgery, cardiovascular transplant surgery, general surgery and other sub-specialties. In addition, Children's Hospital of Michigan has also extensive case archives of CNS tumors, cardiovascular, and pediatric tumors. Being a part of the Detroit Medical Center, a multi-disciplinary service that includes hematopathology, neuropathology, and fetal-placental pathology, strengthens our program. Children's Hospital of Michigan is located in the city of Detroit, a city that is presently undertaking vast and significant re-energizing and re-building efforts and incentives. Requirements: Successful completion of ACGME-accredited residency training in anatomic and clinical pathology (AP/CP) or anatomic pathology (AP). Applicants must be eligible for medical licensure in the State of Michigan. Description: The Department of Pathology of Wayne State University School of Medicine and the Detroit Medical Center offers a one-year fellowship in surgical pathology beginning July 1, annually. The program is offered at the central campus of the Detroit Medical Center's Harper University Hospital, and includes the Karmanos Cancer Institute, Hutzel Women's Hospital and the Children's Hospital of Michigan. The surgical pathology annual workload includes over 35,000 specimens with a heavy concentration in oncologic pathology. The fellowship rotations are tailored to the interests of the individual fellow with a minimum of 6 months allocated to the general surgical pathology service. Opportunities exist for elective rotations in GYN, pediatric pathology, renal & transplant pathology, hematopathology, cytopathology and neuropathology. Fellows are expected to participate in translational research activities. Requirements: Candidates must be board certified or eligible by the American Board of Pathology in AP or AP/CP, and eligible for permanent or temporary licensure in the State of Michigan. Individuals with an interest in pursuing a career in academic pathology are preferred. Stipends: Stipends are commensurate with the year of pathology postgraduate training as determined by Detroit Medical Center Graduate Medical Education Office. Description: The Blood Bank at William Beaumont Hospital in Royal Oak, Michigan, has begun accepting applications for its ACGME-accredited one-year fellowship program beginning July 2019. This Blood Banking/Transfusion Medicine fellowship, established in 1979, is a twelve month ACGME-accredited program. The fellowship is divided into 3 sites: Beaumont Hospital (Royal Oak) Blood Bank (10 months), American Red Cross Southeastern Michigan Regional Blood Service (1 month), and Karmanos Cancer Center (1 month). Beaumont Hospital (Royal Oak) is a 1070 bed facility, which has an active transfusion service supporting a Level 1 Trauma Center, an expanding solid organ transplant program, and busy OB/GYN and Hematology/Oncology services. Blood donor center experience is obtained at the American Red Cross Southeastern Michigan Region Blood Services, which is a large regional blood center with an associated reference laboratory. Training for Transfusion Medicine support of stem cell transplantation programs is obtained through the Bone Marrow Transplant Program at the Karmanos Cancer Center, which is a university-based program providing autologous, related and unrelated stem cell transplants under certification of the National Marrow Donor Program. The overall goal of this fellowship is to prepare a physician to become a competent Transfusion Medicine Specialist for any clinical sitting; therefore, upon completion of this fellowship the fellow has learned the essential administrative, laboratory and clinical aspects to be a director of a blood center and/or hospital transfusion service. Prerequisites: Board eligibility or certification by the American Board of Pathology, or subspecialty certification in hematology from another board of the ABMS. Candidates must also hold a license (or eligibility) to practice medicine in the State of Michigan. Stipends: Salary is commensurate with the level of postgraduate training. Clinical Chemistry, Department of Clinical Pathology at William Beaumont Hospital in Royal Oak, Michigan, is accepting applications for its ACGME-accredited one-year fellowship program beginning mid-January or July 2019. The primary goal of the program is to provide training through a progression of activities, such that the fellow gradually acquires a level of competence that will allow him/her to assume responsibility for all aspects of laboratory practice in chemical pathology. The program provides a strong foundation in laboratory procedures and instrumentation, laboratory automation, test interpretation, quality assurance, use of laboratory tests in the evaluation of disease and laboratory management. In addition, the fellow is provided with adequate time and resources for research and is exposed to the laboratory's outreach program. The chemistry sections (routine, stat and special chemistry, urinalysis, immunology, electrophoresis, toxicology) perform over 4 millions tests each year. Prerequisites: Board eligibility or certification by the American Board of Pathology (AP/CP or CP). Candidates must also hold a license (or eligibility) to practice medicine in the State of Michigan. Description: This comprehensive one year ACGME accredited training program is based in a 1070 bed tertiary care teaching hospital and accepts one hematopathology fellow yearly. The fellowship program offers subspecialty training in the multiple aspects of diagnostic hematopathology, laboratory hematology and coagulation. Trainees will gain experience in the following: laboratory management in a high volume hematology laboratory, coagulation consultation for bleeding and thrombotic disease, and detailed interpretation of peripheral blood smears, bone marrow, lymphoid tissues, body fluids (including the appropriate use, integration of immunohistochemistry, flow cytometry, cytogenetic/FISH, and molecular genetic data). Training includes dedicated rotations in flow cytometry, molecular diagnostics and cytogenetics. The fellow will also be expected to participate in medical technologist, medical student and resident teaching as well as clinical and/or basic research. Requirements: The applicant must possess an MD or DO degree and be board certified/eligible in anatomic or anatomic and clinical pathology at the time of acceptance into the program. They must also hold a license (or be eligible) to practice medicine in the State of Michigan. The Cytopathology Fellowship Program at the University of Mississippi, Jackson, MS has two unexpected cytopathology fellowship openings for 2019-2020. We offer a one-year ACGME accredited fellowship program in diagnostic cytopathology. The program focuses exclusively on gynecological cytology, non-gynecological cytology, and fine needle aspiration biopsy cytology. Weekly didactic and microscopic conferences, monthly lectures, as well as a monthly journal club supplement this training. During this period, the fellow is engaged in the examination of the cytopathologic material submitted to the services under the supervision of the attending staff. The program also includes participation in the Intraoperative Cytology Consultation Service. Fellows are encouraged to participate in research projects with members of the department and/or in cooperation with clinicians. The fellowship is available to individuals who have completed training in pathology in an ACGME-accredited residency program. Board certification/ eligibility in either AP or AP/CP is required by the beginning of the fellowship in Cytopathology. Step 3 is a requirement as well as eligibility for medical license in the state of Mississippi. Early application is encouraged. • International medical school graduates must submit a copy of their Educational Commission for Foreign Medical Graduates (ECFMG) certificate that is marked "valid indefinitely". Description: The Department of Pathology and Immunology at Washington University School of Medicine and St Louis Children's Hospital offers a one-year fellowship in pediatric pathology. The fellowship is accredited by the ACGME, and is designed to meet the needs of individuals interested in a career in either academic pathology or private practice. The training program consists of 12 months of supervised experience in diagnostic pediatric pathology, including surgical and autopsy pathology, with sign-out responsibilities. Experience in laboratory medicine, molecular diagnostics, cytogenetics, FISH, immunohistochemistry, electron microscopy, and other special techniques is part of the program. Participation in research projects is emphasized. The program uses the facilities of St Louis Children's Hospital and Barnes-Jewish Hospital at Washington University Medical Center, a large, referral, quaternary case hospital system. There are approximately 3,500 pediatric surgical and 140 perinatal/pediatric autopsy cases per year, including fetopsies. In addition, outside pediatric surgical consultations are reviewed by the fellow. At the time of application, highly qualified applicants who wish to pursue in-depth research in a laboratory of their choice should inquire concerning funding for an additional year. Requirements: Applicants must have an MD degree (or foreign equivalent with ECFMG certification) and 3 to 4 years training in anatomic or anatomic and clinical pathology at an AGCME certified program. Stipends: The salary will be commensurate with the level of training of the candidate. Description: This ACGME-accredited one-year fellowship program offers advanced training in diagnostic cytopathology. The Cytopathology laboratory at Dartmouth-Hitchcock Medical Center processes a total of 20,414 specimens annually. Teaching is provided through conferences, didactic sessions and daily sign-out of gynecologic and non-gynecologic specimens. Fellows are trained in the performance and interpretation of fine needle aspiration biopsies. Emphasis is placed on integration of surgical pathology with cytology including cytology-histology correlation and in the use of ancillary techniques in cytology including molecular diagnostics, immunocyto/histochemistry and flow cytometry. Laboratory management and quality improvement issues are also included in the training. Fellows will gain experience in the use of air-dried Diff-Quick stains, alcohol-fixed Papanicolaou stains, and monolayer preparations. They will have graduated levels of increasing responsibility. Teaching medical students, pathology residents and cytotechnologists, as well as participation in conferences, are required. Fellows are expected to participate in at least one research project with a goal of presentation at a national meeting and/or publication in a peer-reviewed journal. Dartmouth-Hitchcock Medical Center is located in Lebanon, NH along in the scenic Upper Valley region. Located along the Connecticut River in a tranquil rural setting, just a couple hours from major cities, the region offers outdoor adventures, sports, entertainment, shopping, history and local cultural events. Requirements: Board certified/eligible in anatomic and/or clinical pathology. Medical licensure in the state of New Hampshire required. Stipends: Commensurate with the number of relevant postgraduate years of training. There is a book allowance, and funding is available for presentation at a national meeting. Staff: Edward J. Gutmann MD, AM (Program Director); Carol (Xiaoying) Liu MD; Jonathan D. Marotti MD; Lananh Nguyen, MD, MS; Gregory J. Tsongalis PhD, HCLD, FACB. Applications: To review application requirements and to download an application form, go to the program's website. The Department of Pathology and Laboratory Medicine at Rutgers Robert Wood Johnson Medical School has open Hematopathology Fellowship positions for 2019-2020 and 2020-2021. This is an ACGME accredited Hematopathology training program that offers "university wide benefits" in a large multi-hospital system. The core faculty consists of five Board-certified Hematopathologists, one Board-certified Cytogeneticist, two Board Certified Molecular Pathologists and Special Coagulation Hematology faculty. Training involves the full spectrum of benign and neoplastic hematologic/lymphoid disorders in both pediatric and adult populations. Training includes evaluation of peripheral blood, cytology/FNAs, lymph node/solid organ biopsies, bone marrow aspirates/biopsies along with flow cytometry (includes MRD analysis). PCR and Next Gen Sequencing genomics, and cytogenetic/FISH studies. Description: This is a one-year ACGME accredited fellowship offered in laboratory hematology and hematopathology. Training will focus on skills in laboratory methods including automation and instrumentation, microscopic skills in evaluating full spectrum of tissue specimens, performance of bone marrow aspirations and biopsies and their interpretation, and laboratory management. Fellow training rotations include advanced coagulation, immunohistochemistry, flow cytometry, cytogenetics and molecular biologic techniques related to the diagnosis of hematopoietic and lymphoid disorders. The program is affiliated with the primary academic teaching hospital RWJBarnabas-RWJ University Hospital as well as New Jersey's only Comprehensive Cancer Center, the Rutgers Cancer Institute of New Jersey which supports allogeneic and autologous bone marrow transplant programs and immunotherapy. Participation in independent or collaborative research projects in strongly encouraged. The fellow actively participates in conferences and teaching of pathology residents and medical students. Requirements: Applicants must be board certified or eligible in Anatomic Pathology or Anatomic and Clinical Pathology and be eligible for a license to practice medicine in New Jersey. Number of appointments: One position is available each academic year. Community: Rutgers Robert Wood Johnson Medical School and RWJBarnabas-RWJUH are located in New Brunswick, NJ. New Brunswick is the home of Rutgers University-New Brunswick main campus with all the associated amenities and is situated between New York City and Philadelphia - each about an hour away by car or train. The Jersey Shore with Atlantic City, the Pine Barrens of Southern New Jersey, Revolutionary War battlefields, the Delaware Water Gap, Pennsylvania's Pocono Mountains and New York's Catskills are all within a two hour drive. Application: Applications must include the curriculum vitae, personal statement, and three leters of recommendation. Description: The Department of Pathology and Laboratory Medicine at Rutgers New Jersey Medical School is offering a one year fellowship position specializing in the diagnosis of neoplastic and non-neoplastic diseases of the gastrointestinal tract, liver, and pancreas with opportunities to participate in clinicopathologic and basic science research. 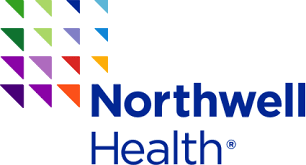 The fellow will rotate between Newark Beth Israel Medical Center in Newark, NJ and Robert Wood Johnson University Hospital in New Brunswick, NJ, both part of the RWJBarnabas Health System, as well as University Hospital in Newark which supports the only liver transplant center in New Jersey. Each location offers a unique experience with a variety of interesting and challenging in-house and consultation cases. The fellow will be trained in gross examination, pathologic diagnosis, frozen section consultation, molecular pathology, and if interested, basic science research and informatics. The fellow will also attend and present cases at multidisciplinary case conferences and tumor boards and will have an active role in teaching residents, clinical fellows, and medical students. The fellow, appointed as a faculty instructor, may also have the opportunity to sign out cases independently in the second half of the year after faculty approval. Requirements: Candidate must have completed a four year residency in Anatomic and Clinical Pathology or a three year residency in Anatomic Pathology and hold a full unrestricted NJ state medical license. Applications: Will be accepted beginning August 1st, 2018. Interviews will begin September 2018 with formal offers by January 1st, 2019 for both available positions. Submit cover letter, CV, USMLE Step 1, 2, and 3 transcripts (or COMLEX if applicable), medical school diploma and transcripts, ECFMG certificate if applicable, visa status if applicable, names and titles of 3 references (letters of recommendation will be invited upon request). This one-year fellowship features comprehensive, integrated diagnostic training in all aspects of hematopathology, including a wide spectrum of benign and neoplastic disorders in pediatric and adult patients. Fellow clinical rotations alternate between our University Hospital bone marrow/anatomic pathology service and our national hematopathology consultation service, both of which are located at TriCore Reference Laboratories, our large centralized laboratory. Molecular, cytogenetic, and coagulation rotations are also part of the training experience. Clinical case material is from a variety of sources and includes: 3000 combined blood, bone marrow, CSF and lymph node specimens on University patients; 3000 consultation cases; core lab hematology, coagulation and hemoglobin electrophoresis specimens; 3500 cytogenetics/FISH cases; and 3000 molecular oncology cases. Specialized tests (including flow cytometric, cytogenetics/FISH, and molecular analysis) are integrated with clinical and morphologic assessment in the final diagnostic interpretation. These tests are performed at TriCore Reference Laboratories, which houses large automated hematology and hematopathology services in conjunction with specialty laboratories for esoteric testing. Emphasis is placed on cost-effective diagnostic assessment. For more information, contact David Czuchlewski, MD. (fellowship director) at DCzuchlewski@salud.unm.edu or visit http://pathology.unm.edu/fellowships/hematopathology-fellowship.html. New Mexico's mild four season climate and abundant outdoor recreational opportunities combined with a rich cultural heritage complement the educational opportunities. Visit http://www.itsatrip.org to discover Albuquerque. 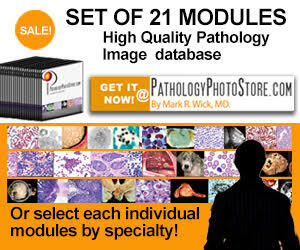 Find out more about our Department and view our YouTube videos at http://pathology.unm.edu. Hematopathology Fellowship Program: Attention David Czuchlewski, M.O. Applications must be received no later than October 1st of each year for positions commencing July 1st two years later. Description: The Department of Pathology & Laboratory Medicine is accepting applications for one fellowship position in an ACGME accredited program at Lenox Hill Hospital, located on the Upper East Side of Manhattan in New York City. Lenox Hill Hospital is a teaching hospital of the Zucker Northwell School of Medicine. This one year fellowship offers intensive sign-out experience in a wide array of surgical pathology cases, including a large and varied oncologic case mix in surgical subspecialty areas such as head and neck, breast, GYN, thoracic, GI, GU, and neuropathology. The trainee will also participate in a busy frozen section service. Additional opportunities include resident and medical student teaching, as well as translational research. Positions: One (1) per year. Requirements: MD or equivalent. Applicants must be ABP eligible in Anatomic Pathology. Stipends: Commensurate with the candidate's level of training. Applications: Please submit the CAP Standardized Pathology Fellowship Application Form (available on the CAP website) with curriculum vitae, USMLE transcript, personal statement, and three letters of recommendation. The Department of Pathology at Memorial Sloan Kettering Cancer Center is offering a one- to two-year Thoracic Pathology Research Fellowship position. All applicants should be MDs or MD/PhDs who have completed residency training in anatomic pathology (or AP/CP) in the United States or Canada and are certified (or are eligible for certification) by the American Board of Pathology. The fellowship involves one or preferably two years of translational research in thoracic pathology, focusing on morphologic, clinicopathologic and genomic analysis of thoracic tumors. Candidates with the interest in genomic and/or computational aspects of thoracic pathology are particularly encouraged to apply. Fellows will be supervised by thoracic pathologists within the Department of Pathology. The fellow will be exposed to research opportunities based on a high-volume MSKCC hospital clinical service as well as an extramural consult service. In addition, participation is encouraged in relevant educational activities, such as weekly thoracic interesting case conference, weekly thoracic tumor board, pulmonary medicine conference, interstitial lung disease conference, as well as other academic activities offered by the Department of Pathology and other departments related to their field of research. Thoracic pathology research fellows will have no clinical responsibilities. The Thoracic Pathology Research Fellowship will provide a unique opportunity for an MD or MD/PhD pathology fellow to acquire training and experience in thoracic pathology research. Fellows will experience a strong educational thoracic pathology, as well as relevant aspects of thoracic oncology, thoracic surgery, biomarkers, molecular and computational biology, and the principles of translational research. MSK is an EO M/F/Disability/Vet Employer. Roswell Park Comprehensive Cancer Center offers an ACGME-accredited one-year Fellowship in Cytopathology. Roswell Park, founded in 1898, is the oldest NCI-funded Comprehensive Cancer Center. The environment is fast-paced, dynamic, collegial, and exciting! The Cytopathology Fellowship provides advanced training in the studies of morphologic abnormality of cells from precursor lesions to frank malignancy. Cytopathologists who train an additional year beyond the Anatomic or Anatomic/Clinical Pathology Residencies are trained in the performance and acquisition of cytologic material for diagnosis. The fellow selected for this position will participate in fine needle aspirations, disease specific multidisciplinary conferences, teaching of junior residents and be an active participant in a scientific research project for submission, presentation and publication in a cytology or scientific journal. Requirements: Because of the complex nature of the diseases encountered at RPCI, only residents who have completed their training in an ACGME-accredited Program in either a three-year AP or four-year AP/CP Program by the Fellowship start date will be considered. A fellow who has passed the American Board of Pathology in AP or AP/CP before starting the fellowship in Cytopathology is highly desirable. In addition, candidates must be eligible for a New York State Medical License or Limited Permit. Requirements: Candidate should be AP/CP Board eligible or Board certified. Stipend: Support will commensurate with the year of post-graduate training. This one-year advanced training in cytopathology is designed to provide comprehensive training in cytopathology. The program has a growing ultrasound (US)-guided FNA clinic that is operated by cytopathologists. The fellow will have hands-on experience in performing both palpation- and US-guided FNAs, and in providing rapid on-site evaluation (ROSE) of samples prepared from US-, CT-, EUS- and EBUS-guided FNAs. Fellows will become familiar with triaging specimens for appropriate ancillary tests and in utilizing telecytopathology for ROSE and practical training in laboratory management and quality control/assurance. The fellows will participate in a number of clinical and educational activities: performing FNAs, in-hospital service and daily sign out, multidisciplinary tumor board conferences, and teaching pathology residents, cytotechnologists, and medical students. As members of a research-intensive academic department, the fellows will also have the opportunity to pursue academic interests in basic or translational research, to present their work at national meetings and to submit research manuscripts for publication in leading academic journals. Requirements: Candidates must be Board certified or eligible for certification in AP or AP/CP and must be eligible for a license to practice in the state of New York. Applications: Submit the Standardized Pathology Fellowship application (available on the CAP website) with curriculum vitae, personal statement, and three letters of references. Currently accepting applications for the 2019 position. Special note: This is a new fellowship program approved by the ACGME on 1/14/2019. Description: One fellowship position in an ACGME accredited program at Stony Brook University Hospital, located on the north shore of Long Island, 55 miles east of New York City. This one-year fellowship offers experience in hematopathology emphasizing diagnostic hematopathology and laboratory hematology. Two board-certified hematopathologists are enthusiastically engaged in teaching the trainee in all areas of hematopathology. The program includes training in peripheral blood and bone marrow morphology interpretation, lymph node pathology, laboratory pathology, coagulation, flow cytometry, cytogenetics and molecular pathology. The trainee is exposed to a very active bone marrow transplantation service. The trainee will have the opportunity to teach residents and medical students and will have outstanding opportunities to participate in translational research. The trainee will be expected to register and pass the ABP hematopathology board exam at the end of their training period. Requirements: Applicants should be Board eligible in anatomic and/or clinical pathology. Applications: Submit the Standardized Pathology Fellowship application (available on the CAP website) with curriculum vitae, personal statement, and three letters of references. Contact Information: Ms. Kathleen Pitisi, MBA; Program Coordinator (631) 444 2224, Email: [email protected]. For further information, contact: Tahmeena Ahmed, MBBS; Director of Hematopathology Fellowship, Email: [email protected]. This is a one-year ACGME-accredited fellowship program that offers advanced training in diagnostic cytopathology with a strong emphasis on Rapid On-Site Evaluation (ROSE) through telepathology and regularly scheduled Pathologist performed Fine Needle Aspirations (FNA) of palpable lesions. Cytopathology has its own FNA procedure room in the new Cancer Treatment Center. FNA assessments through telepathology occur throughout the day in endoscopy for EUS, EBUS and EBUS navigational procedures, as well as Interventional Radiology for non-palpable and deep-seated lesions. Opportunity is also available for training in ultrasound-guided FNAs. Substantial emphasis is placed on cyto histopathological correlation. SUNY has a new state-of-the-art molecular laboratory. The SUNY Upstate Medical University Cytopathology Laboratory examines approximately 7,000 ThinPrep Paps, 3,500 non-gynecologic specimens and 2,100 FNAs. The Cytology department is staffed with six experienced cytotechnologists and 3 preparatory technicians and 4 board certified cytopathologists. ThinPrep Imaging Dual review technology is utilized in the laboratory. Ancillary techniques such as vast in-house immunocytochemistry and special stains, flow cytometry, molecular diagnostics and electron microscopy are available for more comprehensive evaluation of difficult cases. The fellowship offers opportunities for teaching residents and medical students and participation in research projects. Diagnostic, research, teaching, communication and managerial skills are emphasized. The fellow is involved in resident teaching conferences, departmental and interdepartmental conferences and tumor board. SUNY has a large and beautiful campus in downtown Syracuse NY, home to the very popular Syracuse University college basketball team. Syracuse is a very lively town that is rich in music, art and sports. Applicants should be Board-eligible or Board-certified in anatomic pathology or AP/CP, as well as having passed USMLE Step III. Description: This one year ACGME-approved fellowship program includes didactic and practical training in advanced immunohematology, therapeutic and donor apheresis, extracorporeal photopheresis, blood donation, viral and bacterial testing, component processing and storage, coagulation, HLA, Patient Blood Management, and stem cell collection and processing at the University of Rochester Medical Center (800 beds) and the Northeast Division Red Cross Blood Services. The URMC blood bank is an AABB-accredited Immunohematology Reference Laboratory. This program provides for experience in perinatal transfusion as well as apheresis in neonates and children. Graded assumption of responsibility for medical, administrative, and instructional activities by the fellow are integral to the training program. Protected research time is included and research opportunities are provided commensurate with the fellow's interests and experience. The University of Rochester Medical Center has a long history of innovative and dynamic research in transfusion medicine/blood banking, hematology and related fields and many mentors to choose from in clinical, translational and basic investigation. A second and further years of research training may be possible in some instances. Requirements: At the start of fellowship training, applicants should have completed pathology residency training and be Board eligible/certified in CP or AP/CP, or have completed residency training in internal medicine, anesthesiology, obstetrics/gynecology, surgery, or pediatrics, and be Board eligible/certified. With 10 cytotechnologists and 6 board-certified cytopathologists, the Cytopathology Laboratory at University of Rochester Medical Center (Strong Memorial Hospital) is a high-volume laboratory, examining over 50,000 cases per year. This includes in-house specimens, specimens sent in from our satellite locations, and consult cases. Our volume is broken down into: 40,000 gynecologic specimens, and 12,000 non-gynecologic specimens, which include 3,500 fine needle aspirations. Fellowship candidates must be strong in surgical pathology, as he or she will be responsible for pairing and reviewing concurrent cytologic and histologic specimens. The fellow would be responsible for previewing most cases referred to the pathologist, and triaging those cases accordingly by ordering any appropriate ancillary studies. Our program has in-house immunohistochemistry, flow cytometry, molecular diagnostics, and Human Papilloma Virus testing. The fellow is also responsible for participating in our robust FNA rotation, where he or she will perform rapid on-site evaluations for many different procurement techniques, including ultrasound-guided FNAs, endobronchial ultrasound-guided FNAs, Super-Dimension navigational guidance for pulmonary FNAs, endoscopic ultrasound-guided FNAs, CT-guided FNAs, and palpation-guided FNAs within our own Cytopathology clinic. During the fellowship year, the fellow will become intimately familiar with reading ultrasound imaging and understanding how to obtain a quality FNA specimen under imaging guidance. The fellow will have the ability to interact with many different disciplines, including endocrinologists, pulmonologists, interventional radiologists, gastroenterologists, gynecologists, surgeons, oncologists, and general hospitalists. This is done through routine FNA procedures, as well as tumor board conferences, and other departmental/interdepartmental conferences that the fellow is responsible for conducting. The fellow will also develop a more compassionate bedside manner with his or her FNA clinic patients. Located in Western New York between the Finger Lakes and Niagara Falls, Rochester is a diverse cultural community with activities to suit all interests. The most notable community-hosted event is the Lilac Festival each spring, which lasts for two weeks and showcases many local artists, musicians, and eateries. Luis E. De Las Casas, M.D. Job Description: This is a one year fellowship position in general surgical pathology starting July 1, 2019 and July 1, 2020. The fellowship provides extensive training in all aspects of surgical pathology. The fellow will advance to independent sign out during the year, will engage in undergraduate and graduate departmental educational programs, and is expected to participate in clinical research. The ECU Brody School of Medicine is affiliated with Vidant Medical Center. Vidant Medical Center is the flagship hospital for Vidant Health and serves as the teaching hospital for the Brody School of Medicine at East Carolina University. All positions are also listed at our departmental website at www.ecu.edu/pathology (Jobs tab). Minimum Qualifications: MD or DO degree from appropriately accredited institution. Completion of AP or AP/CP pathology residency. Must be able to obtain an unrestricted North Carolina Medical License and medical staff privileges required. The WFBH Department of Pathology announces openings in its Surgical Pathology Fellowship Program. The program includes several rotations including frozen section/gross room supervision, routine surgical pathology case sign out, and outside consultation case sign out. Elective time will be available for those interested in subspecialty interests and/or clinical based research. Fellows will also be actively involved in multi-disciplinary conferences, house staff teaching and have exposure to administrative aspects of operating a Surgical Pathology practice. Candidates are required to have successfully graduated from an ACGME accredited AP or AP/CP resident training program or equivalent. Preference given to those candidates with an expressed interest in pursuing academic careers. Wake Forest Baptist Health is a large integrated health system with its main hospital, North Carolina Baptist Hospital, located in Winston-Salem, NC. It has over 600 beds with the Department of Pathology processing over 30,000 surgical cases annually. The case mix is diverse with good representation across all organ systems. Winston-Salem has a population of approximately 250,000 and is part of the North Carolina Piedmont Triad. The area, with its moderate climate, is renowned for its wide diversity of available outdoor recreational activities. Travel is very easy with three major airports within approximately 80 miles. Interested candidates should provide a letter of intent, a current curriculum vitae and three letters of recommendation, with at least two from practicing surgical pathologists with whom they have worked. The Division of Pathology at Cincinnati Children's Hospital Medical Center is currently accepting applications for a Pediatric Pathology Fellowship position beginning July 2019. The pediatric pathology fellowship program in the Division of Pathology and Laboratory Medicine, CCHMC, was established in 1964, one of the longest-standing programs in the country. Currently, it is an ACGME approved program to train two fellows per year, who are qualified to take the pediatric pathology board exam. An optional second year is offered to those who are interested in in-depth subspecialty development and research. Cincinnati Children's Hospital Medical Center is one of the nation's largest freestanding children's hospitals. The Department of Pediatrics consistently ranks among the top four pediatric graduate programs in the United States by US News and World Report. There is a concerted effort at Cincinnati Children's to provide additional research funding for the important transition years between fellowship and faculty positions for selected fellows. The Division of Pathology currently has 21 faculty members, including 13 anatomic pathologists, 4 clinical pathology, and 4 research faculty. The anatomic pathologists are subspecialized in many areas of pediatric pathology, such as neuromuscular diseases and neuropathology, renal and liver pathology, and hematopathology. We receive more than 13,000 surgical cases, review approximately 1,000 consult cases, and perform close to 150 pediatric and perinatal autopsies annually. Our surgical pathology material includes the entire spectrum of pediatric pathology from common to very unusual cases. Many of our former fellows are leaders in pediatric pathology world wide. Our graduates continue to make significant contributions to our subspecialty. A one-year integrated surgical pathology fellowship experience beginning July 1 is provided by the faculty and staff of the Department of Pathology at MetroHealth Medical Center, Cleveland, Ohio. The fellow will participate in the supervision and dissection of complex surgical pathology cases and will have junior staff responsibility final sign out and frozen section diagnoses. Surgical pathology accessions for 2018 exceeds 25,000 cases. The fellow will also participate in related ancillary studies such as flow cytometry, immunohistochemistry, etc. Active involvement in an investigative study as well as problem solving of unusual cases referred from outside is encouraged. Electives are offered in a wide variety of surgical pathology subspecialty areas including pulmonary, GYN and renal pathology. The appointee will participate in intra- and extra- mural teaching conferences, and tumor boards and assist in the supervision and teaching of pathology residents, and medical students. Description: The Ohio State University Wexner Medical Center offers a one year Surgical Pathology Fellowship. The fellowship program provides advanced and focused instruction and experience in diagnostic surgical pathology. The fellowship curriculum is designed to build upon previous training and provide a broad experience necessary for independent practice in either an academic or community-based setting. The fellow will have the opportunity to choose and further develop an area of emphasis amongst a wide array of subspecialties. Opportunity for independent sign out is available. Requirements: The candidate should be AP or AP/CP board eligible or board certified. License (training certificate or unrestricted license) to practice medicine in the state of Ohio is also required. Stipend: Support will commensurate with year of post-graduate training. Applications and Inquiries: All fellowship applications are to be addressed to Adrian Suarez, MD, Surgical Pathology Fellowship Program Director. Applications are to be submitted via email to Courtney Saby, Pathology Education Manager (Courtney.Saby@osumc.edu). Complete fellowship applications will include: CAP Standard Fellowship Application, CV, Personal Statement, USMLE/COMLEX Scores, Photograph, and 3 Letters of Recommendation. The Department of Pathology of Drexel University College of Medicine (DUCOM) has two cytopathology fellowship positions open for academic year 2019-2020. The program is fully accredited by the ACGME. The cytopathology service at DUCOM receives a wide array of specimens including gynecologic, non-gynecologic, fine needle aspiration, and oncologic cases. Two fellowship positions are available every year and the service work is equally divided. The daily schedule alternates between signing out cases with attending cytopathologists and covering the FNA service and previewing cases. The fellows are actively involved in both FNA performance and on-site adequacy evaluations. Requirements: Board eligibility or certification in anatomic pathology or AP/CP and eligibility for Pennsylvania medical license. The Department of Pathology at Fox Chase Cancer Center has one one-year ACGME-accredited fellowship position available in Oncologic Surgical Pathology beginning July 1, 2019 and one position beginning July 1, 2020. The possibility of an additional year of ACGME-accredited Hematopathology training is also available. Fox Chase Cancer Center is a nationally ranked 100-bed NCI-designated multidisciplinary comprehensive cancer center with a departmental affiliation with Thomas Jefferson University. The department processes over 15,000 surgical specimens, 2,500 frozen sections, and 4,000 non-gyn cytology specimens yearly, all of which are cancer or cancer-related. There is extensive material in head and neck, breast, pulmonary, gastrointestinal, urologic, gynecologic, dermatology and hematolymphoid neoplasms. The department has board certified surgical pathologists including hematopathologists, cytopathologists, a dermatopathologist, immunopathologist and cytogeneticist with busy consultation services, and an active molecular pathology laboratory. The fellowship program is designed to provide an in-depth experience in tumor pathology with emphasis on diagnosis. Ample time for scholarly activities is facilitated by three full time pathologists’ assistants who gross all specimens and prepare all frozen sections. Applications are available at www.fccc.edu and questions should be directed to Douglas B. Flieder, M.D. or Lori Schaffert at path.fellowship@fccc.edu. The Penn State Milton S. Hershey Medical Center invites applications for a one-year ACGME-accredited Fellowship in Blood Banking/Transfusion Medicine. We are accepting applications for one position starting July 1, 2019. Trainees will be provided training in all aspects of clinical adult and pediatric transfusion medicine, immunohematology, on-site donor administration and blood collection, therapeutic apheresis, allogeneic and autologous hematopoietic stem cell collection and processing, coagulation, and HLA (Histocompatibility) testing. The fellow will work closely with the Medical Director and five other clinical pathologists to provide clinical consultation to the medical staff in areas of apheresis, immunohematology, and clinical transfusion medicine. The fellow will have opportunities for teaching medical students, technologists, residents, and fellows from other services. This program will provide the fellow with a rich educational experience leading to expertise in Blood Banking/Transfusion Medicine and the qualifications for eligibility for specialty certification in Blood Banking/Transfusion Medicine. It will form a basis for a career in the academic or community practice setting. The faculty, residents, and main laboratory facilities are housed in the Penn State Milton S. Hershey Medical Center. The adult hospital has a capacity of approximately 500 beds and the free standing children's hospital approximately 75 beds. It is a both an adult and pediatric tertiary care hospital and the main teaching hospital of the Pennsylvania State University College of Medicine. It includes a Level I trauma center, a Level III neonatal intensive care unit, and is a major referral center for complicated adult and pediatric hematology/oncology cases. The Division of Clinical Pathology has abundant clinical opportunities for training a fellow in Blood Banking/Transfusion Medicine. The Transfusion Service of the Hershey Medical Center is a full service operation providing allogeneic and autologous whole blood and hematopoietic stem cell collections, plateletpheresis collection, therapeutic phlebotomy, and therapeutic apheresis. Annually, over 20,000 units of allogeneic red blood cells (~50,000 total blood components) are transfused, and ~1000 therapeutic apheresis procedures are performed (including plasma exchange, red cell exchange, cytoreduction, and peripheral blood stem cell collections). The Blood Bank/Transfusion Service is accredited by CAP, FACT, and the AABB..
• Applicants should be ABMS board-certified or board-eligible in combined Clinical/Anatomic Pathology, Clinical Pathology only, Hematology, Pediatrics, Internal Medicine, Obstetrics/Gynecology, Anesthesiology, Surgery, Colon and Rectal Surgery, Orthopaedic Surgery, Neurological Surgery, Plastic Surgery, or Thoracic Surgery. Applications are evaluated on an on-going basis and will be accepted beginning 12-18 months prior to the anticipated start date. Applications will be accepted until the position is filled. Please forward the CAP Standardized Application for Pathology Fellowships, a cover letter with a personal statement, curriculum vitae, USMLE test scores, and letters of reference from your current/most recent program director and three additional individuals. Applications should be sent electronically to: Beth Shultz, Program Coordinator, at eshultz@hmc.psu.edu. The Milton S. Hershey Medical Center of The Pennsylvania State University is an Affirmative Action/Equal Opportunity Employer; Women and Minorities are Encouraged to Apply. 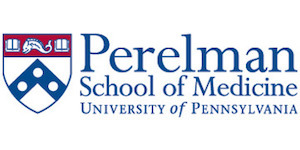 The Department of Pathology and Laboratory Medicine at the Perelman School of Medicine at the University of Pennsylvania seeks candidates for a Fellowship position in the Academic Support Staff. This appointment will be for one (1) year. This is a training position for an aspiring pathologist in the rapidly expanding field of cellular therapy. The candidate will work at the campuses of both the Hospital of the University of Pennsylvania (HUP) and the Children's Hospital of Philadelphia (CHOP), with three current Good Manufacturing Practice (cGMP) facilities: the Clinical Cell and Vaccine Production Facility (CVPF) at Penn, the Cell and Gene Therapy Laboratory (CGTL) and the Clinical Vector Core (CVC) both at CHOP. The cellular therapy activities at HUP and CHOP cover the entire range of standard-of-care adult and pediatric bone marrow transplant, from collection to processing to infusion. The cGMP facilities also engage in a large number clinical trials under Investigational New Drug or Device Exemptions (IND/IDEs) approved by the FDA, some of which are in collaboration with third party industrial sponsors. Examples of these IND/IDEs include the manufacturing of Chimeric Antigen Receptor T cells, virus specific cytotoxic T lymphocytes, and selective T/B cell depleted transplant grafts. The candidate will have a wide exposure of different cGMP labs all within walking distance, learn the set up and operation of cGMP facilities, in addition to the actual manufacturing processes. Cellular therapy is a highly regulated field. The candidate will also engage in managing different quality aspects of cell manufacturing, participate in drafting IND/IDE Chemistry, Manufacturing and Controls (CMC) sections, including response to FDA inquiries. There are numerous opportunities for quality improvement projects. Didactic training, either one-on-one with a faculty or part of more formal course, is also available. The candidate is encouraged to tailor the one year program to suit individual background and needs, while still gaining enough exposure to become proficient in all areas. Ideally, a successful candidate would leave the program feeling confident to direct a cell therapy facility. Applicants must have an M.D. or M.D./Ph.D. or equivalent degree and have demonstrated excellent qualifications in education, research, and clinical care. Candidates must be Board Certified/Board eligible in Anatomic Pathology (AP), Clinical Pathology (CP) or AP/CP. The University of Pittsburgh Medical Center Department of Pathology is recruiting to fill positions in their ACGME-approved Bone and Soft tissue Pathology (BST) fellowship for 2019-2020 and 2020-2021. This Center of Excellence receives 4500 specimens annually of which greater than 800 cases represent consultations and surgically resected neoplasms of Bone and Soft tissue. The fellowship includes a 4 week mandatory rotation in the Molecular & Genomic Pathology laboratories at UPMC spanning major modern molecular techniques including Next Generation Sequencing (NGS). Four week electives are offered to include rotations in FISH, cytogenetics and research. The fellow is expected to complete at least one research project related to Bone and Soft tissue tumors, present the work at a national/international pathology meeting and publish in a peer reviewed journal. The meeting costs for a presentation are covered by the program. Ample support for performing ancillary studies for research projects is provided by the department. The resident/fellows library is continually updated by the Fellowship Director, and contains over 800 teaching cases, the majority of which are digitized. Interested and qualified individuals who are board-eligible or board-certified in anatomical pathology should submit the required documents to the Fellowship Director online (https://epssecure.upmc.com/path/fellowship/app-form.cfm) or via email: schoedelke@upmc.edu.. The Department of Pathology at the Rhode Island and The Miriam Hospitals have established a one-year fellowship program in Surgical Pathology. The program offers advanced training in all aspects of surgical pathology with an emphasis on the fellow assuming a graduated junior attending role. As such, in addition to the usual case management demands and responsibilities for multidisciplinary conferences, the fellow will be involved actively in mentoring residents and medical students in the department. Clinically-based research is strongly encouraged and there is also an opportunity for collaborative research efforts with campus-based faculty at the Warren Alpert Medical School of Brown University. Rhode Island Hospital/The Miriam Hospital is an EEO/AA employer and encourages applications from minorities, women and protected persons. Applicants should have completed an AP or AP/CP residency training program on commencement of the fellowship. Applicant must be eligible for employment in the United States. Applications: Fellowship appointments are effective July 1 of each academic year. The Department of Pathology, Microbiology and Immunology at Vanderbilt University, Nashville, Tennessee, offers a one year fellowship in Pediatric Pathology. There is one position available each year. The program provides strong curriculum in pediatric surgical pathology, materno-fetal pathology, and pediatric autopsy pathology. The Monroe Carell Jr. Children's Hospital at Vanderbilt (MCJCH) accessioned more than 8,500 pediatric surgical pathology cases, over 1,400 placentas and over 50 pediatric autopsies in 2016. The faculty includes 26 anatomic pathologists and separate divisions of renal pathology, hematopathology and neuropathology; providing subspecialty expertise in soft tissue pathology, gastrointestinal pathology, pulmonary pathology, breast pathology, gynecologic pathology, genitourinary pathology, neuropathology and muscle pathology. Vanderbilt University Medical Center and Monroe Carell Jr. Children's Hospital at Vanderbilt are experiencing expansion in many areas with a nationally recognized cancer center, multifaceted organ and stem cell transplant programs and expansion of educational programs, clinical and translational research and basic science programs. This is an exciting period of growth for the pathology department. Located in the heart of Nashville, Vanderbilt University is one of the nation's leading research and teaching institutions, with an undergraduate medical program, and many post-graduate programs contiguous on the same campus. Nashville, the capital of Tennessee, is a growing cosmopolitan area with a population exceeding 1 million, diverse entertainment, excellent schools and ready access to outdoor activities. An online application is available by clicking here. Please provide three letters of recommendation. Vanderbilt University is an Equal Opportunity/Affirmative Action Employer. The Department of Pathology, Microbiology and Immunology at Vanderbilt University, Nashville, TN, offers a one year fellowship in renal pathology. The fellowship is under the direction of Agnes B. Fogo, M.D., John L. Shapiro Professor of Pathology, Microbiology, and Immunology and Professor of Medicine and Pediatrics at Vanderbilt University Medical Center. Paisit Paueksakon, M.D., Associate Professor of Pathology, Microbiology, and Immunology is Associate Director of the fellowship program. The fellow is directly involved in the diagnostic evaluation of all renal biopsies received annually by the Renal Pathology Laboratory at Vanderbilt. These cases represent largely native (70%) as well as transplant (30%) renal biopsies, with both adult and pediatric cases. Current volume is about 1,700 cases/year, of which 70% are cases from outside hospitals in the region and other countries. The fellow will be expected to work independently in preparing cases for sign-out by the faculty using light, immunofluorescence and electron microscopy. Fellows will also present cases at clinical conferences held jointly with the Nephrology and Renal Transplant Divisions, have ample exposure to clinical teaching conferences, actively participate in teaching renal pathology to medical students, residents and nephrology fellows, and attend weekly departmental surgical pathology slide conferences. Fellows are expected to pursue an academic project, e.g., clinical teaching case reports. Fellows are encouraged and funds are available to attend a yearly scientific meeting during their training. Application requirements: Applicants must be ECFMG certified if graduates of a foreign medical school, and should have a minimum of two years' training in Anatomic Pathology or three years in Anatomic Pathology/Clinical Pathology in an ACGME accredited pathology residency training program or certification in another specialty by a member board of ABMS. Description:A one-year fellowship, ACGME-accredited program offers advanced training in diagnostic clinical cytopathology. Experience is provided through daily signout of gynecologic and non-gynecologic specimens as well as training in performance and interpretation of fine needle aspiration biopsies. Exposure to performance of ultrasound guided fine needle aspiration in our FNA clinics is also available. The cytology laboratory processes 35000 GYN Pap tests, 3,500 non-GYN specimens and 3500 fine needle aspirations. The fellow participates in all aspects of the service and is given progressive responsibilities. Participation in conferences and teaching of pathology residents and cytotechnologists is required. Involvement in clinical research is also encouraged. Diagnostic and research facilities are available in molecular biology, immunocytochemistry, and flow cytometry. Devoted time to specimen preparation, laboratory management and quality issues is provided. Continued exposure to surgical pathology with annual accession of 65,000 cases is through tumor board participation and elective rotation. Requirements: Candidates must have completed AP or AP/CP pathology residency in the United States and be certified or eligible in AP or AP/CP. Applicants must have passed all USMLE Steps before entering the Cytopathology Fellowship Program. Foreign medical graduates are required to have an ECFMG certificate. Baylor Scott & White Health sponsors only the J1 Visa for those individuals who require a visa in order to be work-authorized. Faculty (cytopathology board certified): Lina Liu, MD, Lubna Sayage-rabie MD; Ryam Zreik MD; Bing Leng, MD; Douglas Larsen, MD; Xingbai Chen; Constance Cleaves. Community: Temple is located in the heart of Texas Hill Country, with the major cities of Austin, Dallas, Houston and San Antonio less than three hours away. Hill Country sports an array of cultural and natural features including Belton Lake, which offers recreational opportunities and some of the best fishing, camping and boating in Central Texas. Beautiful rolling hills, sparkling rivers and bold displays of bluebonnets make Temple and the surrounding areas very attractive to citizens from all over the country. The University of Texas Health Science Center at San Antonio (UTHSCSA) has two openings for the hematopathology fellowship for the 2020-2021 academic year. Description: Description: During training, the fellow receives training in immunohematology, histocompatibility, paternity testing, donor center supervision, therapeutic apheresis, transfusion therapy, hemostasis, flow cytometry, and molecular pathology. The training is based upon participation of daily activities, consultations, various elective experiences as well as didactic teaching. The primary teaching site is a tertiary care teaching hospital, University Hospital System (UHS), which is a 716-bed teaching hospital that provides transfusion services to diverse adult and pediatric patient populations. At UHS, annually, over 18,000 red cell units, 8,000 plasma units and 4,000 platelet doses are transfused. In addition, Transfusion medicine oversees the therapeutic apheresis program, where over 450 therapeutic apheresis procedures and red cell exchanges are performed annually for various diseases. The hospital based donor services collects whole blood and apheresis-based allogeneic blood products from over 5,000 donors annually. A fellowship-affiliated hospital located across the street from the primary site (South Texas Veterans Health Care System) is a national referral center for bone marrow transplantation. Exposure to the operations of a larger scale donor center, donor infectious disease testing and allogeneic tissue is provided at the subsidiaries of BioBridge Global, which is located 5 miles from the primary site. Paternity testing experience is obtained through the DNA reference laboratory located in San Antonio. Requirements: ACGME accredited residency completion with Board eligibility or certification in clinical pathology, internal medicine, pediatrics or other related fields. Types and Numbers of Appointments: 1 appointment per academic year. Facilities: University Hospital and South Texas Veterans Health Care System, with possible elective rotations at various sites within the South Texas Medical Center. Community: The purpose of The University of Texas Health Science Center at San Antonio is to provide the best in health careers education, biomedical research, patient care and community service to San Antonio and the South Texas/Border Region. Through undergraduate, graduate and postgraduate programs, the faculty is committed to educating health professionals who will provide excellent patient care and research that can be applied to treat and prevent disease. VA Staff: David Feldman, M.D. The University of Texas Health Science Center at San Antonio (UTHSCSA) has two openings for the hematopathology fellowship for the 2019-2020 and 2020-2021 academic years. Description: This is a one-year, fully accredited fellowship in hematology/hematopathology with an optional non-accredited second year. Training includes laboratory hematology, interpretation of tissue biopsies performed for hematolymphoid disorders and experimental hematology. The first year of fellowship training includes core training in the clinical hematology laboratory at University Hospital and the flow cytometry, molecular diagnostics and cytogenetics laboratories in the South Texas Reference Laboratories at UTHSCSA. Clinical training includes interpretation of peripheral blood films, body fluid preparations, bone marrow aspirates and biopsies, lymph node and other tissue diagnosis, work-up of patients with hemostasis/thrombosis disorders, flow cytometry immunophenotyping, cytogenetics, molecular diagnostics, and immunohistochemistry. The fellow actively participates in teaching medical students and residents. The second year of non-accredited fellowship training is principally dedicated to research in hematopathology and optional signing out as a junior attending. Requirements: Board eligibility or certification in anatomic and clinical pathology. Types and Numbers of Appointments: 2 appointments per academic year. Facilities: University Hospital with possible elective rotations at various sites within the South Texas Medical Center. Staff: Kenneth N. Holder, M.D., Assistant Professor and Director; Hongxin Fan, Ph.D., Associate Professor; Wieslaw Furmaga, M.D., Professor; Leslie Greebon, M.D., Assistant Professor; Russell Higgins, M.D., Associate Professor, Marsha Kinney, M.D., Professor and Department Chair; Edward Medina, M.D., Assistant Professor; Alia Nazarullah, M.D., Assistant Professor; Golpalrao Velagaleti, Ph.D., Professor. Description: The University of Texas MD Anderson Cancer Center in Houston is one of the world's most respected centers focused on cancer patient care, research, education and prevention. The hospital is located in the Texas Medical Center (TMC), and was named the nation's No. 1 hospital for cancer care in U.S. News & World Report's 2018-19 rankings. Our mission at MD Anderson is to eliminate cancer, and it shows in our fervent commitment to research-driven cancer care and comprehensive educational programs to enable the next generation to join the fight to end cancer. The Department of Anatomical Pathology is accepting applications for an unexpected opening in the Surgical Pathology Fellowship Program. The ACGME-accredited Surgical Pathology Fellowship program at MD Anderson Cancer Center is a one-year program that offers in-depth experience and proficiency in the diagnosis of neoplastic diseases in various subspecialties of surgical pathology with opportunities to conduct clinical/translational research. All clinical activities are organized by subspecialties, including breast, dermatopathology, gastrointestinal, genitourinary, gynecologic, head and neck, neuropathology, soft tissue/bone, and thoracic pathology. All rotations are 4-6 weeks long and centered on active clinical services with outstanding diagnostic material to enhance the clinical experience of the fellow. In addition to the aforementioned subspecialties and autopsy services, rotations are available in electron microscopy, immunohistochemistry, flow cytometry, molecular diagnostic, cytopathology, hematopathology, and state-of-the-art research laboratories. All fellows are required to conduct an investigative study under the supervision of staff pathologists. Protected time for research is provided, and participation in intra- and interdepartmental conferences is emphasized. Candidates for the Surgical Pathology Fellowship must be board certified or eligible for certification in anatomic pathology (AP) or AP/CP, and eligible for Texas Medical License/Permit. Visa sponsorship is not available for this position. Commensurate with the candidate's level of training. Due to recent ACGME accreditation, the Cytopathology Fellowship Program at WVUSOM has one fellowship opening each for academic years 2019-2020, 2020-2021 and 2021-2022. 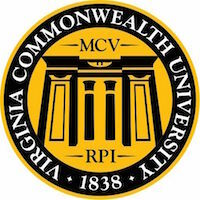 Description: West Virginia University School of Medicine offers a one-year ACGME-approved fellowship in Cytopathology. The WVU Cytopathology laboratory performs approximately 12,000 tests yearly, including approximately 8,300 gynecologic specimens (pap tests), 2,700 non-gynecologic specimens, and 1,000 FNAs. The fellowship provides training in diagnostic criteria, laboratory methods and techniques for gynecologic and non-gynecologic cytopathology. Fellows are involved in cases from all body sites and become proficient at integrating morphologic findings with clinical history and ancillary studies such as immunohistochemistry, flow cytometry, and molecular studies. There is emphasis on the rapid on-site evaluation of intraprocedural specimens. Fellows also participate in performing fine needle aspirations of superficial body sites in conjunction with clinicians. Fellows participate in daily cytopathology sign-outs, departmental teaching conferences, and multidisciplinary tumor boards. In addition to a strong focus on clinical cytopathology, the Program provides Fellows with exposure to scholarly clinical research. Program Director: Melina Flanagan, M.D., M.S.P.H., Assistant Professor of Pathology and Section Chief of Cytopathology. Requirements: Applicant must be board-eligible or certified in AP or AP/CP, and must obtain a West Virginia state license before admission into the program. Stipends: Salary levels are commensurate with level of post-graduate training. The Division of Pediatric Pathology of the Medical College of Wisconsin, located in Milwaukee, WI, and based in the Department of Pathology and Laboratory Medicine at Children’s Hospital Wisconsin (CHW), offers a one-year ACGME-accredited fellowship in pediatric pathology. The program provides training in general perinatal and pediatric pathology, pediatric hematopathology, clinical pathology and laboratory medicine, neuromuscular pathology, molecular diagnostics, and other areas of study within pediatric pathology and laboratory medicine. Primary teaching faculty includes seven specialty board-certified pathologists and three clinical PhD scientists. Annually we examine approximately 6,000 pediatric surgical pathology specimens with intraoperative frozen sections and in-house ancillary tests; 200 pediatric bone marrow specimens with flow cytometry; 1000 cytopathology cases including 30-40 fine needle aspirations; 800 placentas; and 70 fetal, perinatal and pediatric autopsies, supplemented by pediatric forensic cases at the Waukesha County Medical Examiner’s Office. Additionally, we have extensive case archives and robust consult practices in vascular tumors and malformations, placentas, and autopsies. Our clinical laboratory performs approximately 900,000 tests annually, including chemistry, genetic metabolic, hematology and microbiological tests. Our molecular assays target infectious and non-infectious diseases, ranging from selected genetic disorders to pharmacogenomics. Fellows regularly present at and participate in several multidisciplinary tumor boards, M&M conferences, and other clinical conferences in junction with a broad range of clinical programs. Fellows are encouraged to participate in clinical, translational, or basic science research and have access to the resources of the division-supervised histology, imaging, and tissue bank core laboratories at the affiliated Children’s Research Institute. The Department of Pathology is offering a one year ACGME-accredited Cytopathology Fellowship designed to provide comprehensive training in diagnostic cytopathology, particularly the immediate evaluation, triage and final diagnosis of Fine Needle Aspirations (FNAs). The cytology laboratory evaluates approximately 25,000 gynecologic and 6,000 non-gynecologic specimens, of which 2,500 are FNAs, per year. Fellows will become proficient in laboratory management, quality systems, LEAN analysis, diagnostics; including the performance and interpretation of FNAs and new technologies; including the ThinPrep Pap Test, HPV-DNA testing, and medical informatics. The cytopathology section utilizes video streaming from remote locations for immediate evaluation of FNAs. This cutting edge experience provides fellows with comprehensive training in the new technologies benefiting cytopathology today. Fellows also receive training in ultrasound-guided FNAs of the thyroid, providing them with a procedural skill useful in any future practice. The department has a strong academic mission, and provides opportunities for cytology-based research, including molecular diagnostics. Fellows will participate in the education of residents and medical students on cytology rotations. Educational opportunities exist for rotation at the Wisconsin State Laboratory of Hygiene (including evaluating its large volume of gynecologic specimens, spending time in the cytogenetics laboratory, and teaching in the School of Cytotechnology). Fellows are expected to complete a research project for publication. Upon completion, the fellow will be prepared to direct a university or community-based practice cytopathology laboratory. Applicants must be AP or AP/CP Board eligible or Board certified. Stipends are commensurate with the year of post-graduate training (e.g. $63,947 for PGY5; $66,114 for PGY6, based on 2014-15 stipends). The Department of Pathology and Laboratory Medicine at the University of Wisconsin-Madison School of Medicine and Public Health is offering a one-year GI and Liver Surgical Pathology Subspecialty Fellowship with an appointment as a Clinical Instructor beginning July 1, 2019. This is a non-ACGME certified fellowship which provides one full year of experience in diagnostic gastrointestinal, liver, pancreaticobiliary and transplant pathology. Cases include a wide spectrum of non-neoplastic, neoplastic and allograft pathology, received from the state-of-the-art UW Health Hepatobiliary Oncologic and Transplantation Surgical Services and from the Digestive Health Center (approximately 18,500 GI cases annually, including 450 medical/allograft liver biopsies, 250 extramural consultations and 575 pediatric GI cases). The program is designed to prepare the fellow for a successful career in academic medicine or private practice with a subspecialty focus. The GI and Liver pathology fellow participates on the GI/Liver subspecialty services, undergoes a frozen section 'hot seat' rotation in general pathology, participates in many multidisciplinary conferences (medical liver biopsy, pancreaticobiliary tumor board, UWH/VA regional liver transplant tumor boards, and molecular tumor board), and is involved in teaching of pathology residents and medical students. Based on the evaluation of the candidate's proficiency and performance, there may be opportunities to be involved in laboratory management projects, independent sign out and resident teaching. Overall the fellowship is aimed at developing academic and leadership skills to thrive as an expert in GI/Liver pathology. Elective time is also available and the fellow is highly encouraged to participate in translational research projects related to GI and Liver pathology. An M.D. and successful completion of a certified AP or AP/CP U.S.-based pathology residency training program are required. Applicants must be board eligible or board certified in AP or AP/CP, and a permanent Wisconsin medical license is required prior to start date. Please apply at http://jobs.hr.wisc.edu/cw/en-us/job/499930/gi-liver-pathology-fellow. You will be required to submit a statement of interest referencing PVL 96857, a current CV and a list of at least three references. In addition, three letters of recommendation must be sent to hr@pathology.wisc.edu for your application to be considered complete.